Music and worship go hand in hand. Westwood United Methodist Church has a long tradition and commitment to supporting the Sanctuary experience through the Chancel Choir, soloists, guest musicians, special concerts, and the iconic Shaffer Memorial Organ. 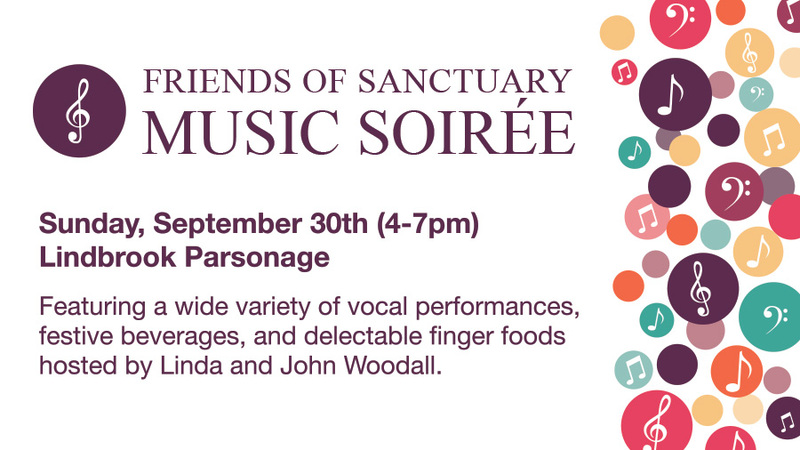 On Sunday, September 30th (4-7pm), join us for a Musical Soirée at the Lindbrook Parsonage featuring a wide variety of vocal performances, festive beverages, and delectable finger foods hosted by Linda and John Woodall. The goal of the event is to raise additional funds for music activities beyond the church’s Annual Fund. This will help to support special seasonal music at Christmas, Easter, and special concerts as well as additional guest musicians to enhance Sunday mornings. Place your donation in an offering envelope and write “Friends of Music”, or to make a donation online at www.WestwoodUMC.org/give.